Hyaluronic Acid (HA), is an important disaccharide found in every tissue of the body, in particular as an essential lubricant of healthy joints, skin and eyes. Pure HA is an all natural dietary supplement. A breakthrough nutraceutical formula for the maintenance of healthy bones that is more effective than calcium alone. Bone Support with Ostivone is an excellent formula that helps osteoporosis and osteoarthritis. 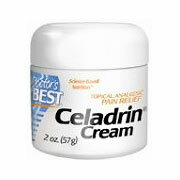 Celadrin Cream Celadrin is a unique formulation of esterified (stable) fatty acids that has been shown to reduce certain effects related to pronounced inflammatory processes that can occur in the body. Being a complex molecule consisting of various fatty acids, it is able to penetrate cell membranes, which enhances membrane permeability and cell-to-cell signaling. In doing so, Celadrin may reduce the level of inflammatory components of the immune system from binding to cells and thus causing occasional inflammation in different parts of the body. Benefits of Topical Celadrin Cream Celadrin Cream can also be an effective option for topical joint pain relief. Celadrin fatty acid esters combined with 1.25% USP grade natural menthol provides minor pain relief for sore muscles and joints and the surrounding areas. When applied topically, Celadrin is well-absorbed and can act locally to help maintain joint comfort and increase the range of motion of joints. Studies have confirmed the benefits of topical applications of the cream directly to sore joints. In a double-blind placebo-controlled trial published in the Journal of Rheumatology in 2004, forty individual with sore knee joints participated.Twenty patients were given Celadrin Cream and 20 others were assigned a placebo cream to be applied topically twice daily for 30 days. Participants were assessed on various orthopedic measures of improvement. At the end of the study, the researchers noted that the Celadrin Cream was an effective treatment for improving knee ROM, ability to ascend/descend stairs, ability to rise from sitting, walk and sit down, and unilateral balance. No changes were seen in the placebo group. A second study was conducted by the same group of researchers using a cream consisting of Celadrin and menthol. In this trial, participants who had significant functional performance deficiencies of elbow, knee or wrist joints were given the cream and asked to apply it twice daily for one week. Measure of comfort and performance we reassessed before the treatment and again after one week. The researchers found significant improvement with the use of the cream. Overall, there was a significant improvement in joint range of motion, comfort levels, muscular endurance and joint function. Even in the relatively short period of this trial (only 1 week), the cream was deemed to be effective for enhancing joint function in these participants. Celadrin is a unique formulation of esterified (stable) fatty acids that has been shown to reduce certain effects related to pronounced inflammatory processes that can occur in the body. Being a complex molecule consisting of various fatty acids, it is able to penetrate cell membranes, which enhances membrane permeability and cell-to-cell signaling. In doing so, Celadrin may reduce the level of inflammatory components of the immune system from binding to cells and thus causing occasional inflammation in different parts of the body. Increased Range of Motion in Joints Research has shown that Celadrin can have an impact on improving the range of motion in joints. A placebo-controlled trial conducted in 2002 showed that those individuals taking a complex containing Celadrin for 2 months had a significant improvement in knee flexion (ability to bend the knee) over those taking a placebo. Another study conducted on Celadrin published in 2004 concluded that treatment “significantly increased physical performance (as measured by a variety of orthopedic tests)” in patients with compromised knee mobility. The study found that the subjects given Celadrin showed improvement in their ability to climb stairs, rise from a chair and walk, along with an improved sense of balance, strength and endurance. Maintains Joint Comfort The anti-inflammatory actions of Celadrin have been demonstrated by one double-blind, placebo controlled trial that showed Celadrin, when taken orally at recommended intake levels, decreased pain scores and increased walking distance compared to the group receiving placebo. The authors theorize that Celadrin may work by down-regulating the effect of certain precursors of the body’s inflammatory response. Supplement Facts Serving size: 3 softgels Amount per serving Calories per serving 5 Calories from fat 5 Celadrin 1050mg A proprietary blend of esterified fatty acid carbon (EFAC) of myristate, myristoleate, laurate, oleate, palmitate, and palmitoleate with tapiocal. Other ingredients: Soft capsules (gelatin, glycerin, carob), soy oil, salmon oil. Suggested Use: Take three Celadrin softgel capsules daily, with or without food. Please note that each capsule contains 350 mg of Celadrin, in the form of a fatty liquid. The 350 mg in Celadrin s/g is virtually identical in actual active ingredient to the 500 mg of Celadrin "complex" that is in Celadrin 90C and in Celadrin Complex with Glucosamine. The other 150 mg of material in the "Celadrin complex" is material to enable the fatty liquid to be made into a powder form. Joint Support "Dr. Recommended" This supplement has been formulated to provide maximum nutritional support for joints A primary ingredient, Glucosamine, is an amino sugar derived from the chitin of shellfish. It is utilized by the body to support healthy joint structures. Supplement Facts Serving Size: 2 Capsules Amount Per Serving % Daily Value Pantothenic Acid (from D-Calcium Pantothenate) 67 mg 670% Vitamin B-6 (Pyridoxine HCl) 33 mg 1650% Vitamin C (Ascorbic Acid) 67 mg 112% Magnesium (from Magnesium Oxide) 133 mg 33% Zinc (from Zinc Picolinate) 10 mg 67% Manganese (from Amino Acid Chelate) 5 mg 250% Copper (from Amino Acid Chelate) 5 mg 250% Glucosamine HCl 667 mg Boswellin (Standardized herbal extract of Boswellia serrata) 200 mg Sea Cucumber 100 mg Bromelain (2000 GDU activity from pineapple) 100 mg PABA (Para-aminobenzoic acid) 67 mg Alfalfa Juice Concentrate 67 mg Niacin (as niacinamide) 67 mg 335% Suggested Use: As a dietary supplement, take 2 Joint Support capsules 1 to 3 times daily with meals. Free of: sugar, salt, starch, yeast, wheat, gluten, soy, milk, egg or preservatives. Other Ingredients: Gelatin (capsule) and Magnesium Stearate. Warnings: Caution: Please discard the inedible freshness packet enclosed. Warning: Persons with a known allergy to shellfish should not use this product. Disclaimers: This statement has not been evaluated by the FDA. This product is not intended to diagnose, treat, cure or prevent any disease. Boswellin is a registered trademark of Sabinsa Corp. Dr. Balch is a medical doctor and co-author of the popular book "Prescription for Nutritional Healing." 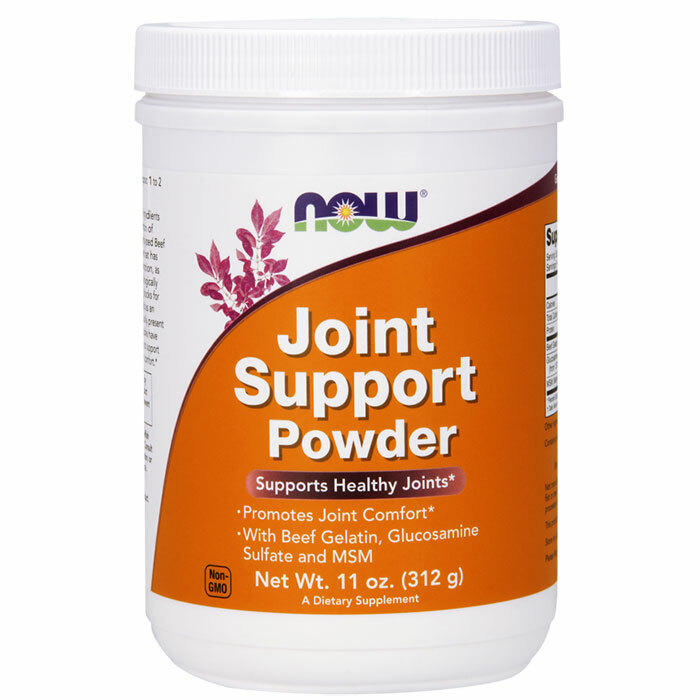 Joint Support Powder is a superior combination of dietary supplements that have been shown to nutritionally support healthy joint function. Hydrolyzed Beef Gelatin is 86% protein, high in collagen and has been enzymatically predigested to enhance absorption. Glucosamine is an amino sugar derived from the chitin of shellfish. 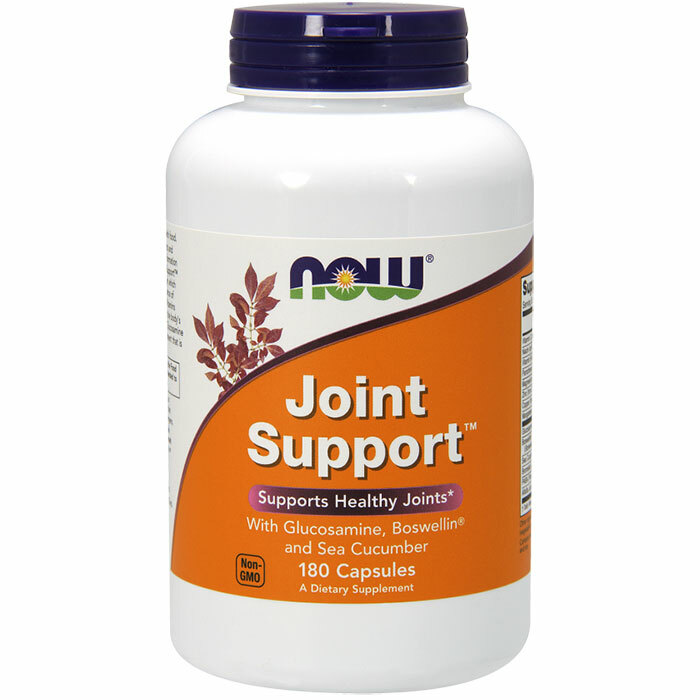 It is utilized by the body to support healthy joint structures. Sulfate is the preferred form of Glucosamine and is a natural source of potassium and sulfur. MSM (Methylsulphonylmethane) is a biologically active form of organic sulfur found in all living organisms. It is naturally found in varying amounts in raw unprocessed milk, meat, fish, fruits and vegetables. Supplement Facts Serving Size: 1 Heaping Tablespoon (10g ) Servings Per Container: 31 Amount Per Serving % Daily Value Calories 35 Total Carbohydrate <1 g <1% Protein 7 g 14% Potassium 150 mg 4% Gelatin (Hydrolyzed) 8.0 g Glucosamine Potassium Sulfate (yielding 1.1 g of Glucosamine Sulfate) 1.1 g (1,100 mg) Lignisul MSM (Methylsulphonylmethane) 500 mg Suggested Use: As a dietary supplement, take 1 heaping tablespoon of Joint Support Powder daily in juice or water. Free of: sugar, salt, starch, yeast, wheat, gluten, corn, soy, milk, egg or preservatives. Other Ingredients: None Warnings: Persons with a known allergy to shellfish should not use this product. Disclaimers: This statement has not been evaluated by the FDA. This product is not intended to diagnose, treat, cure or prevent any disease. NOW MSM is tested to contain a minimum of 99.7% purity. Lignisul MSM is a registered trademark of Halton Health, Inc.
Joint Support Cream with Glucosamine, Boswellin, & Capsaicin If you haven’t tried NOW Joint Support Cream, you don’t know what you’re missing! 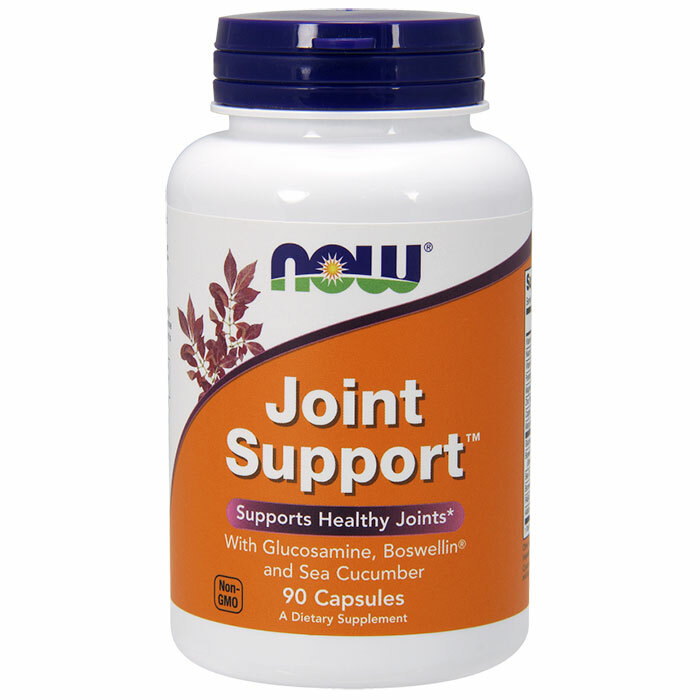 Our potent blend of Glucosamine, Boswellin and Capsaicin goes on easy to help quickly ease tired, overworked joints. 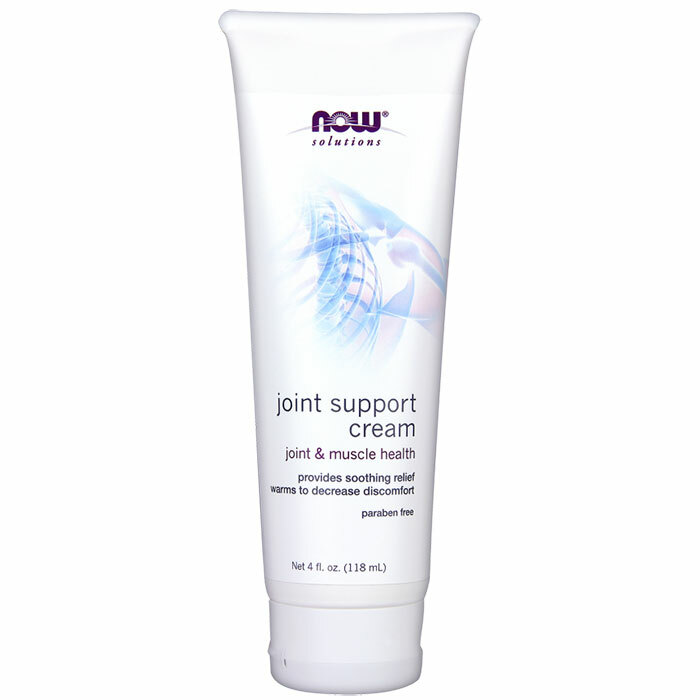 Designed specifically to support optimal joint structure and function, NOW Joint Support Cream is a must have for your active lifestyle. Try some today, and feel the difference that NOW quality makes. Suggested Use: For the temporary relief of minor aches and pains of joints associated with arthritis, adults apply as needed. Avoid contact with or near eyes. Other Ingredients: Purified water, glyceryl stearate, caprylic/capric triglyceride (from vegetable), methyl salicylate (natural), glucosamine HCI, safflower oil, glycerin, boswellin serrata extract, squalane (from olive), emulsifying wax (from coconut/palm/corn), and stearic acid. Warnings: Do not use on broken skin. If redness or irritation occurs, discontinue use. In case of irritation, wash affected area with mild soap and water. Disclaimers: This statement has not been evaluated by the FDA. This product is not intended to diagnose, treat, cure or prevent any disease. Natural color variations may occur in this product. Bovine Cartilage NOW Bovine Cartilage is the highest quality available. 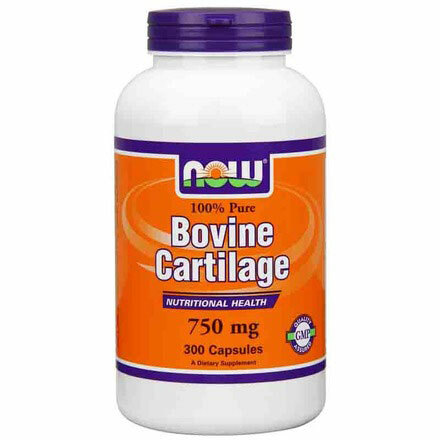 Bovine Cartilage is the product of 40 years of scientific research and development. Bovine Cartilage is produced under rigorous quality control to ensure maximum biological activity. Supplement Facts Serving Size: 4 capsules Amount Per Serving % Daily Value Bovine Cartilage (100% pure hormone-free) 3.0 g (3,000 mg) Total Carbohydrate 1 g <1% Protein 1.5 g 3% Total Fat 0 0% Sodium 120 mg 5% Calories 10 Calories from fat 0 Mucopolysaccharides 1.4 g (1,400 mg) Suggested Use: As a dietary supplement, take 4 Bovine Cartilage capsules 3 times a day before meals. Free of: yeast, wheat, corn, soy, milk, egg, additives, fillers, preservatives. Other Ingredients: None Warnings: Consult a health care professional if you are pregnant, nursing a baby, or recovering from an illness. You are currently browsing the archives for the Bone Joint Health category.